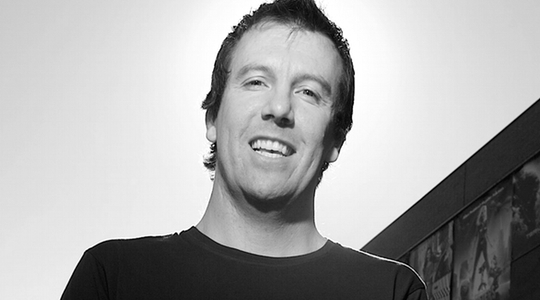 Price can be your strongest branding tool, writes Steve Sammartino. There are a lot of definitions of what a brand is, but I’m more interested in what a brand should do. In my mind it should do the following: provide a set of cognitive shortcuts to its audience. Contrary to what we may think, its audience doesn’t have to just be those who are in its potential market. Strong brands send a message to everyone, both lovers and haters. Often, a brand needs to also send a strong message to those who will never use, buy or consume it. And this is most important when it comes to the extreme edges of pricing. Yes, products and services that live in the deep ends of luxury and, let’s say, ‘value’ get an advantage brands that live in the middle ground never get. They get to tell a story of what the brand means before any other interaction has even been had with it. Brands with extreme pricing get the best cognitive shortcut of all: a free and immediate one. People tell themselves a story of the brand immediately. They tell themselves where it fits in the value chain. They tell themselves the story of where it fits in their life. They tell themselves the story of whether or not the brand is for them – if it should be in their consideration set. These simple facts tell us something very special about price as a tool. Price and the brand perception have a stronger link than any other element in the marketing mix. This is why, before we even start designing what we make, we should know where it fits in terms of price. Price shouldn’t be, and simply can’t be, an afterthought. Price can’t be the place you end up at after you’ve made something and added the appropriate profit margin to it. In a market with near perfect information we ought to lead with price. The term ‘price leadership’ is a favourite of the marketing strategist and has historically meant that a brand aims to be most price- competitive out there. It’s about time we flipped that definition. Today, leading with price ought to mean we are selling at a certain price on purpose. It should mean we don’t want to get lost in a mire of offers with a similar value equation. We want to stand out instead, and do it as quickly as we can, in mere moments even. It is only price that can get that job done. Let’s consider brand perception by looking at some products at the high end of the market. I have a clear perception of some brands I’ve never purchased or had a first hand experience with. I’ve never owned a Mercedes, I’ve never flown first class or on a private jet, I’ve never stayed at the Mandarin Oriental, I’ve never had a sip of Dom Perignon, I’ve never owned Hermès luggage and I’ve never owned a Rolex watch. And with zero personal consumption experience of these brands, I can tell you which part of the market they belong in. The first time I heard of any of these brands, the price was the lead element in the discussion. The price tells the story of where these products belong and for whom they are intended. The price may, in fact, just be the most important feature for those who are buying. My personal favourite example is in real estate, where ‘POA’, or price on application, actually translates to, ‘If you have to ask, you can’t afford it’. Where it gets really interesting is that, often, brands like these have price points that are 10 times that of the substitutes. They can even sell for 100 times that of other viable options. What you can be sure of, though, is that exactly none of these cost 10 or 100 times to make. And it is certainly a valid market to be in, as the wealth of the one percent seems to know no bounds. Pricing at the other extreme end of the market has just as much perception impact. For many, the cheapest is the most important feature. It doesn’t matter so much that it may cost the end user more in the long run; their joy comes from knowing they got the best price – discount airlines come to mind. They get even more joy when they boast to their friends about the bargain they got. Yes, when every consumer is the CEO of their own media organisation, they tend to share stories at the extreme ends of the consumer experience. And for those who are not bargain hunters, some people refuse to buy things, not because the product doesn’t serve the need, but simply because it is too cheap for them to consider, and in this segment we’ve all been guilty from one time or another. Buying it may just devalue our personal brands! As soon as a brand decides to play at the widest end of price spectrum (in either direction) the audience and even pop culture does the promoting for you. Bargains get shared with friends, and egos are stroked online by displaying how good one’s life is. There are few things that people like more than showing friends and people they wish were their friends how clever, successful, well off, hard working or worthy they are. We look for social validation more than most things in our modern world, and brands that provide that with their pricing alone can ride the free promotion train in perpetuity. Our subconscious story goes something like this: Here is what I have bought or where I have been, you know what this costs, this is what it says about me, now you know where I fit in the social hierarchy… All cleverly disguised as sharing moments with others you care about to make their life more enjoyable. When we lead with price, we know exactly where we need to be sold. The price has a massive impact on where we’ll get ranged. Discount retailers have a proposition to uphold just as much as high end department stores do. The price expectations are made before the customer walks through the door. When our pricing strategy s by choice and not chance, we know who we need in our supply chain. When price is your most compelling feature, everything the organisation does that the end user doesn’t see needs to be about making that price promise come true. While we may form quick and early perceptions about what the brand does, unless we deliver to the price expectation, we’re unlikely to generate any kind of loyalty. If you want to compete as the cheapest available on the market, then the price tag itself is the least important part of the ‘low pricing strategy’. It’s the back end, and every single thought and action in your business needs to be about efficiency and reducing cost, all day, every day. If we can manage to do this, then we can make the brand perception of value an on going profitable reality. The caveat we ought remember is that a price sensitive customer is always the least loyal. It becomes a strategy about pre-empting needs before the end user knows they need it. As consumers, we are trained to understand price as soon as we know what commerce is. From the moment we get a little pocket money, we wonder what we can afford to buy and why. We are reminded every day on TV and every time we walk past a price tag. It’s time we started thinking more about price in the design phase.